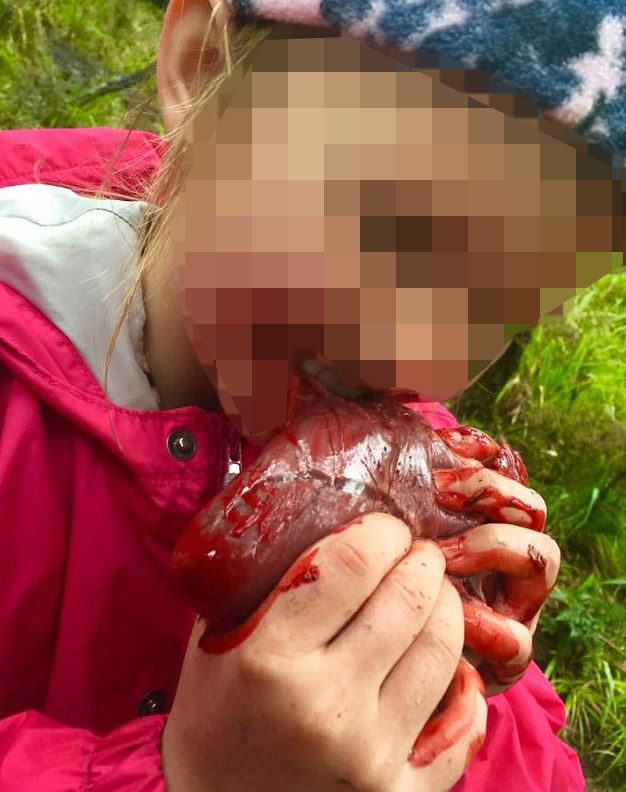 A dad has caused outrage after allowing his eight-year-old daughter to eat a deer’s heart after her ‘first successful hunt’. 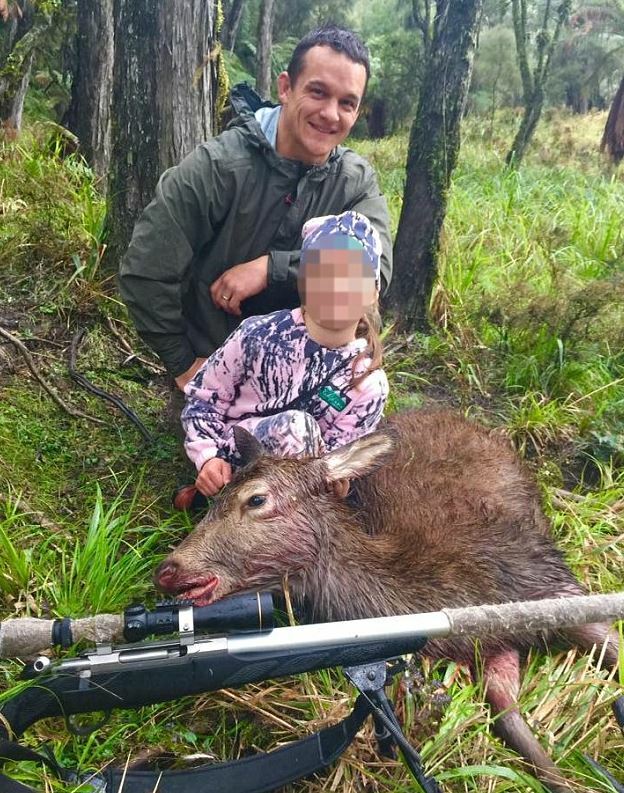 Johnny Yuile and his daughter went hunting last weekend in Hawke’s Bayin, New Zealand, and posted the moment on social media. It’s since been slammed as ‘psychopathic’ on Facebook. Check out my little pink ninja princess Chloe with her first deer – a young stag. Shot in a bush block on a friend’s farm last weekend. She made tricky downhill shot using my shoulder as a leaning rest and shot with dads 7mm-08 at about 40m. Then she took a bite from its warm quivering heart. Go Chloe!! The post has amassed over 20,000 shares with most of the commenters criticising him. This is just the first time she has shot a deer. She’s been coming out with me since she was eight months’ old with a front pack. She loved it. There was a bit of walking for her. We stayed the night and got up early and hunted most of the day. 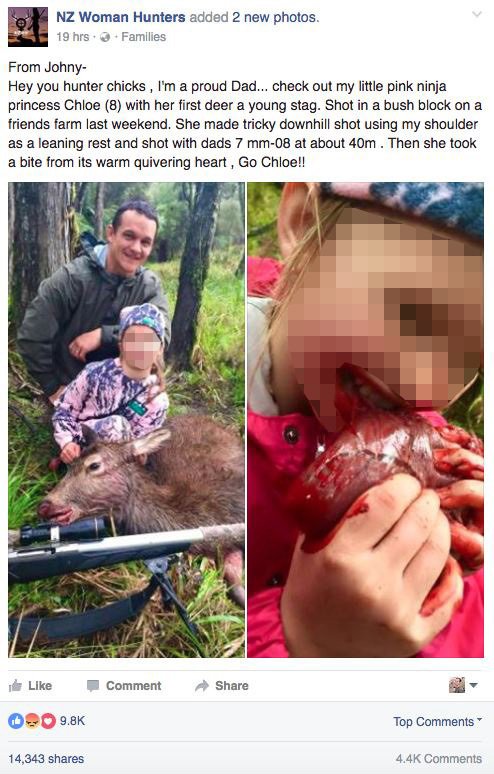 He’s defended his daughter’s hunting, telling New Zealand website Stuff.co.nz that he takes firearm safety seriously and that he only hunts for meat. Despite the overwhelmingly negative response, many have come forward to defend the dad, saying that biting the heart of your first kill is an old hunting ritual. And his daughter thought it was ‘really cool’, saying she likes hunting with her dad because they can gather meat for her family. So while we may have our own opinions on hunting, this is probably a whole lot more humane than what goes down at fast food factories.